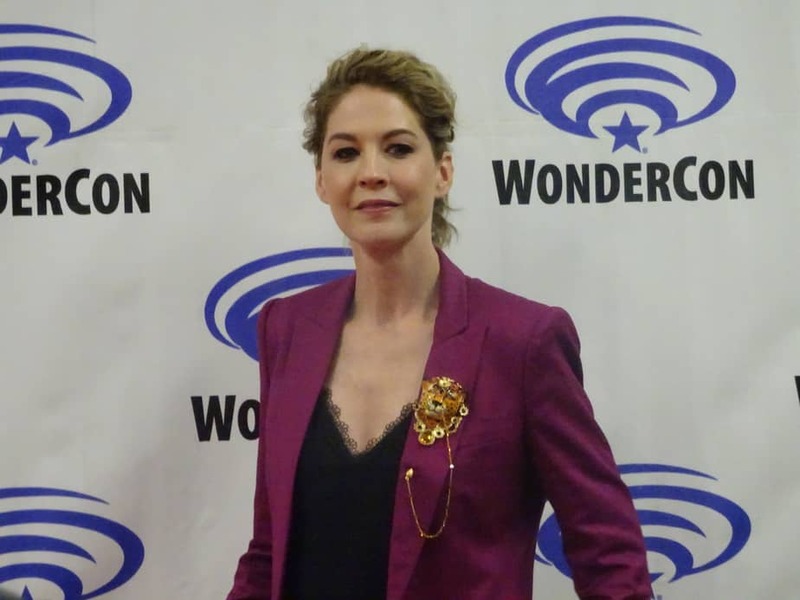 Fear The Walking Dead began as a spinoff of the main Walking Dead television series, showing what happened in the early days of the zombie apocalypse. 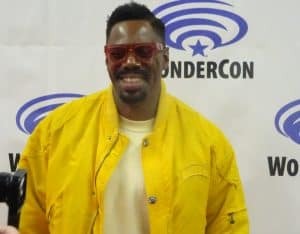 Four years later, Fear is preparing for its fifth season premiere (June 2 at 9 pm Eastern time on AMC) and is now a show filled with developed characters dealing with their own survival situations and emotional issues. 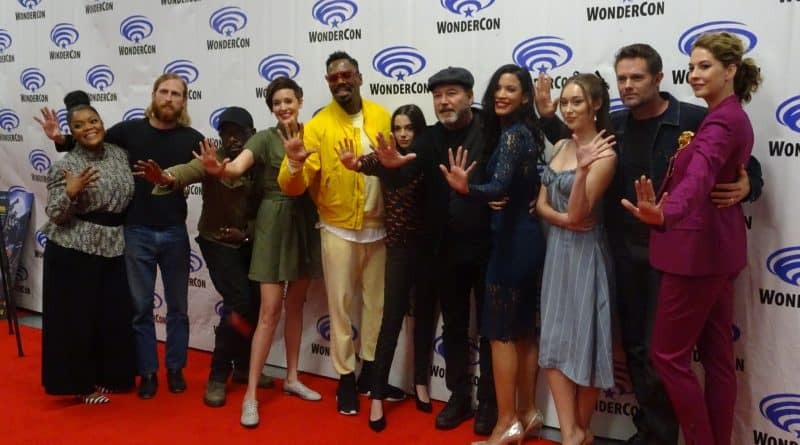 The main cast attended WonderCon 2019 to give a sneak peek of season 5 and to discuss the upcoming season. At the end of season four, the survivors decided as a group not to accompany Morgan back to Alexandria, but instead to stay in Texas and use the resources of Clayton’s “Polar Bear’s” supply depot to help others in need. However, this mission will not be as simple as it should be. Years into the zombie apocalypse, anyone out there is likely to be suspicious of help that is offered when nothing is demanded in return. The group is likely to encounter danger and misgivings, and they will have to work to allow others to trust them enough to accept that help. 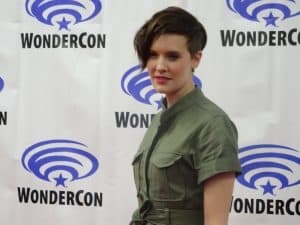 Last season, new survivor Althea (played by Maggie Grace) was a closed off individual, a reporter who collected other people’s stories but did not involve herself directly in the dealings of others. Now Althea is using her interview tapes to locate those who may need help, becoming an active participant in the group effort. Grace said that this season Althea will be put in situations where she has to ‘question her deepest, underlying values’ and that when lives hang in the balance, Althea will ‘have to choose whether to put the group first’. Alicia Clarke (played by Alycia Debnam-Carey) has lost her entire family since the start of the apocalypse, including her brother Nick and her mother Madison last season. Looking for something to give her life meaning, she has gravitated to the idea of creating something for others, as her mother attempted to do with the stadium settlement. 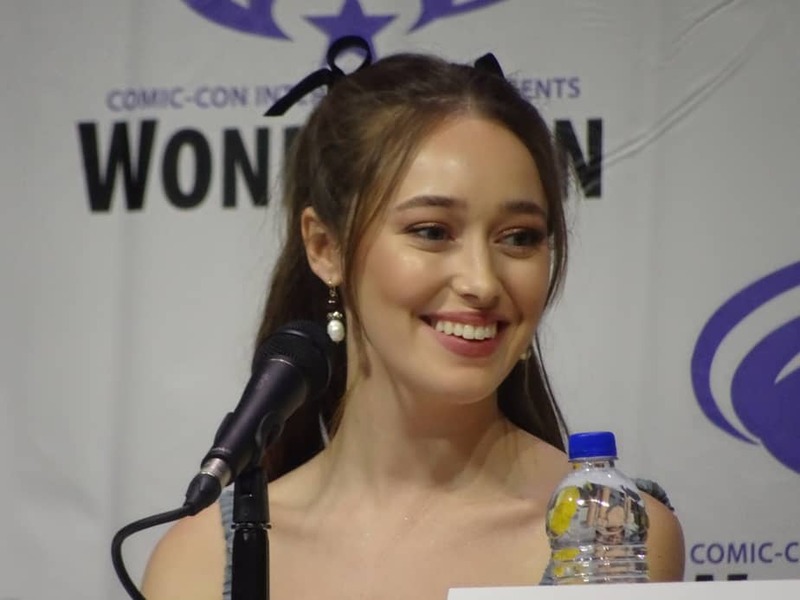 Debnam-Carey observed that Alicia is ‘trying to find a new purpose, a new reason… to keep going’. 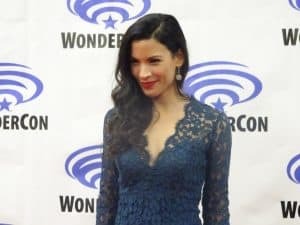 Luciana (played by Danay Garcia) was fueled by revenge in season four, angered by the death of Nick. Yet her meeting with Clayton allowed her to see that she too was capable of helping others, and that this was far more fulfilling than revenge. Now, Garcia feels that Luciana brings faith and passion to the group, helping them when they lose their way, to know that they ‘can do this’, even when it sounds crazy. She can visualize the result, which is important to achieving the goals of the group. 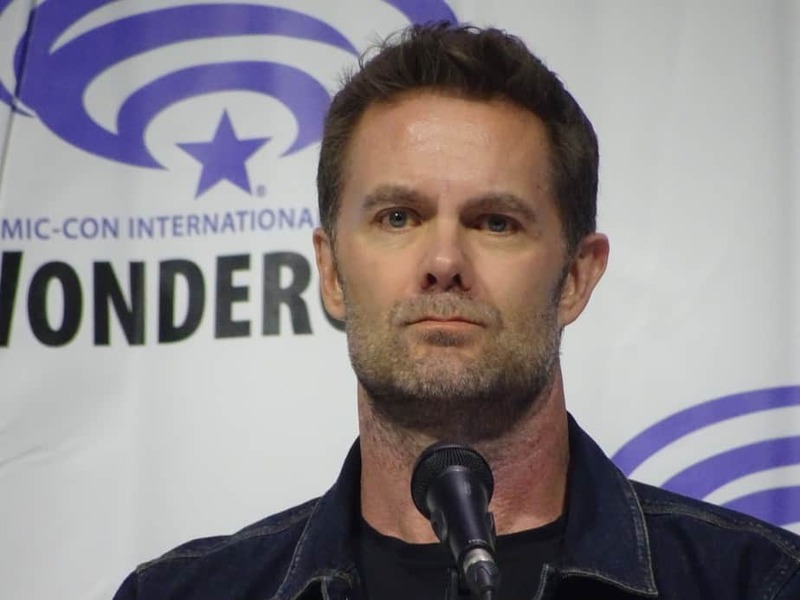 John Dorie (played by Garrett Dillahunt) became a quick fan favorite when he debuted in season four, especially when he fell in love with June (played by Jenna Elfman), despite her closed-off and skittish nature. While June’s motives have been doubtful in the past, Elfman now describes June as being completely in love with John. He has healed her in her grief at losing her daughter, and in the process she has discovered her feelings for him. Normally, when people are happy on The Walking Dead, that is a sign that they don’t have long to last on the show, yet this doesn’t necessarily bother Dillahunt. He points out that everyday life is full of tragedies, and that rather than worry about potential problems, he (and John Dorie) only wants to focus on the joys of today. 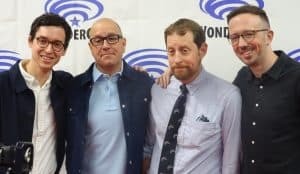 Elfman adds that ‘survival is not finite’, and that as people continue to survive, they look for more from that survival, including emotional closeness. 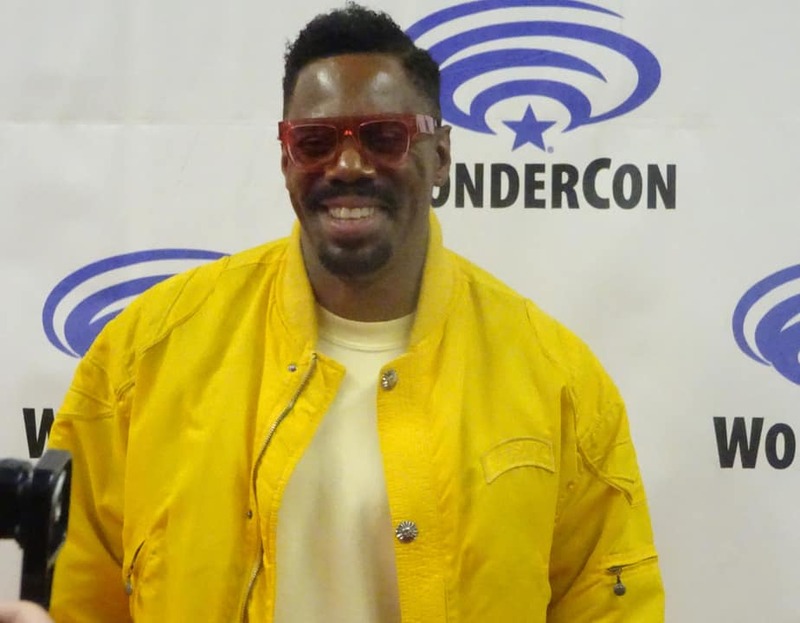 Victor Strand (played by Coleman Domingo) has been a charming and complex character since season one. He lost his love, Thomas, and in season four he lost Madison, with whom he had a very close relationship. Domingo states that Strand’s connection with Madison was, ‘not necessarily romantic… it’s actually something bigger’ and that Strand, ‘needs something special and complicated’. He is looking for someone with whom he can share a ‘warrior spirit’. Now that Madison is gone, it remains to be seen if Strand can find a similar connection with someone else. Morgan Jones (played by Lennie James) crossed over to Fear from the main Walking Dead show in season 4. 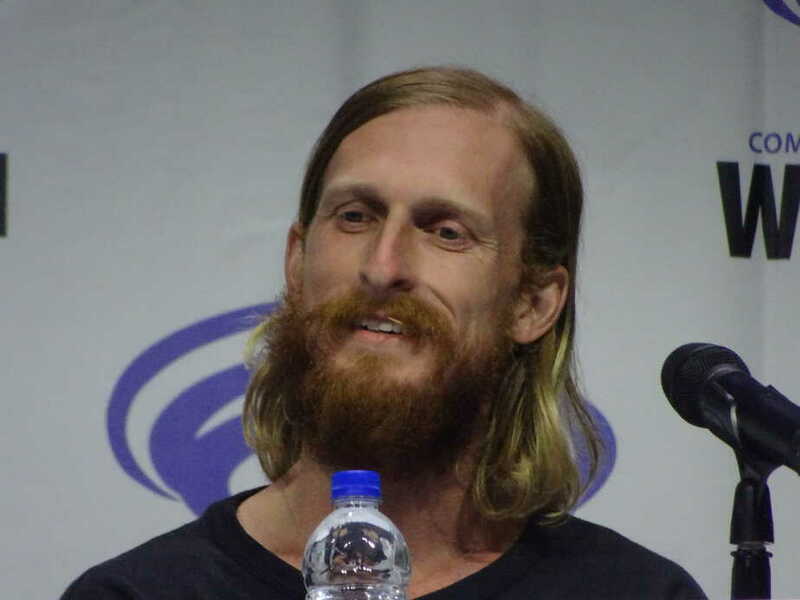 This season, he will be joined by Dwight (played by Austin Amelio). The two are surprised to encounter each other in Texas, and when asked how they might react to each other, James and Amelio were cautious to reveal much, only stating that the relationship between the two will develop over the season. Interestingly, Morgan and Dwight did not share significant screen time in The Walking Dead, and barely knew each other. As such, their views of each other are based on what other people told them, and they will have to get past these pre-conceived notions before working out a relationship with each other. 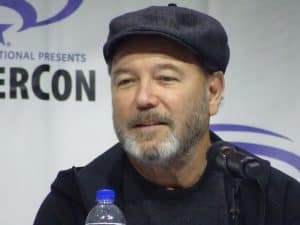 The biggest surprise revealed at the Fear panel at WonderCon was that Daniel Salazar (played by Ruben Blades) will be returning to the cast. The character of Salazar was thought to be dead twice, and now he has turned up again, with a chip on his shoulder regarding the glib Strand. The pair will have to work on their relationship, lest they end up killing each other, yet their first (re-)meeting will show at least a small amount of willingness to listen, as Salazar does not kill Strand instantly on sight, although he does hold him at gunpoint. 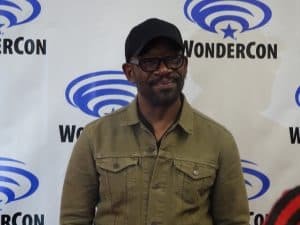 Blades reveals that Salazar is ‘alive for a purpose’, and that there has been an evolution to his character, which will be shown in season five. When the Fear series first began, Walking Dead Chief Content Officer Scott M. Gimple said that there was a connection between Fear and the main Walking Dead series, other than that they took place in the same universe. 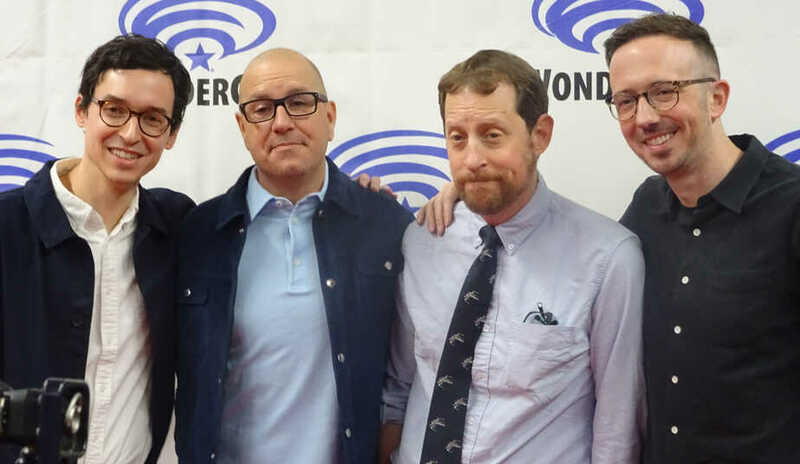 At WonderCon, Gimple stated that not including the Morgan and Dwight crossovers, there was some ‘cool stuff coming up’ that involved ‘shared histories’ between the shows. Additionally, Gimple announced that something started on the main Walking Dead program would be continued on Fear this season. Possibly, this might have to do with Georgie or the Helicopter people, but fans will have to watch the upcoming season to know for certain! 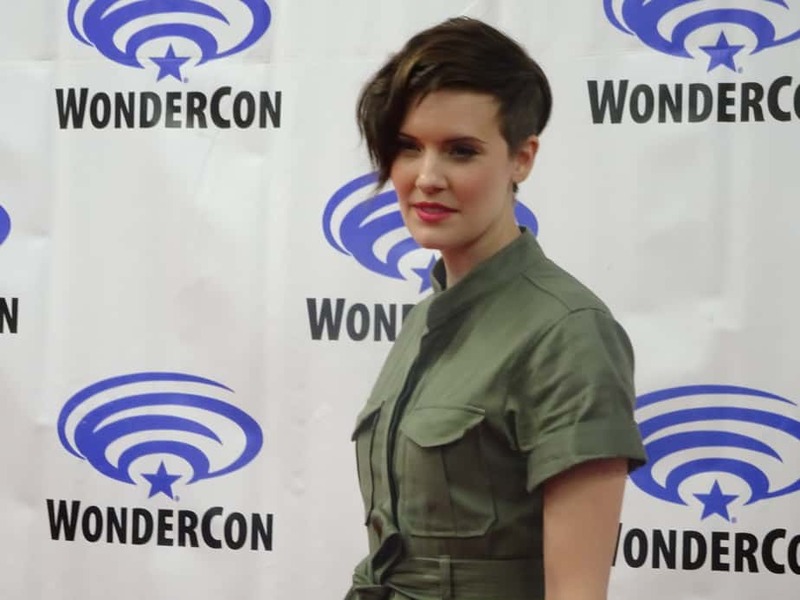 The trailer for Fear’s season five was released at WonderCon, and only serves to whet viewers’ appetites for the episodes to come. 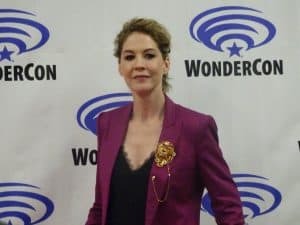 Are you excited to watch the new season of Fear the Walking Dead on June 2? Join the conversation on the FoCC forums!